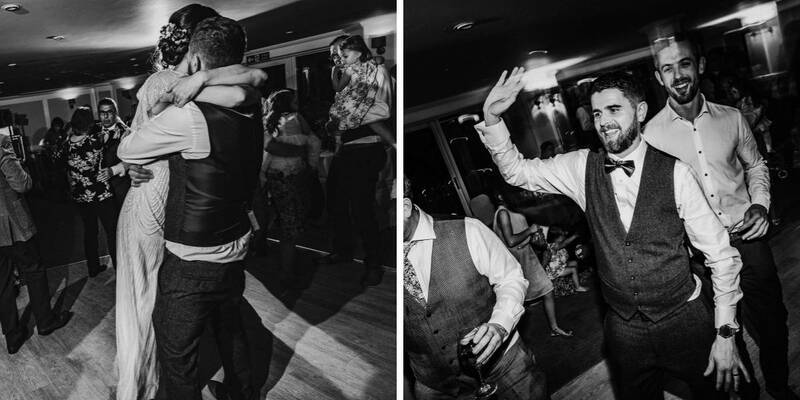 The Greenbank team love seeing wedding photographs from our couples of their special day. 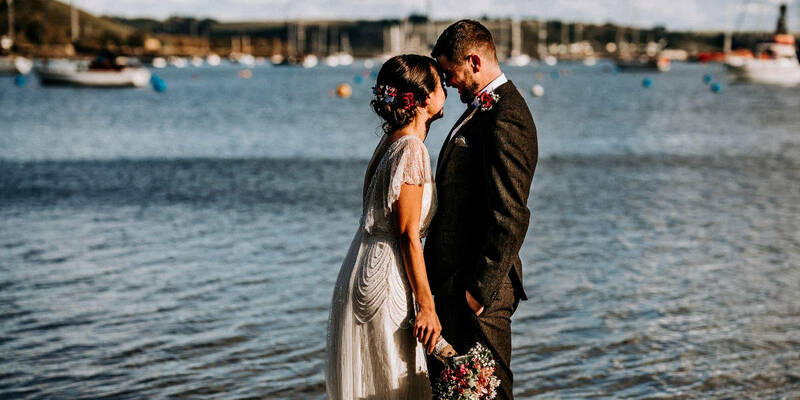 Here we feature Tamsin and Aaron Spear, who got married at The Greenbank in October 2018. 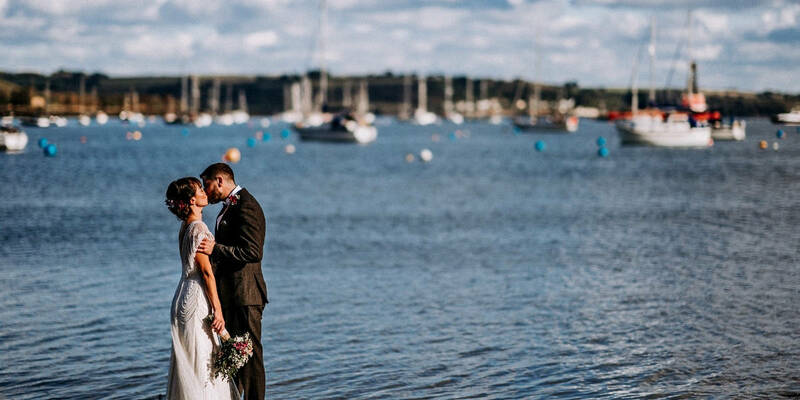 Tamsin and Aaron hosted their reception in The Riverbank, which can hold up to 120 guests. 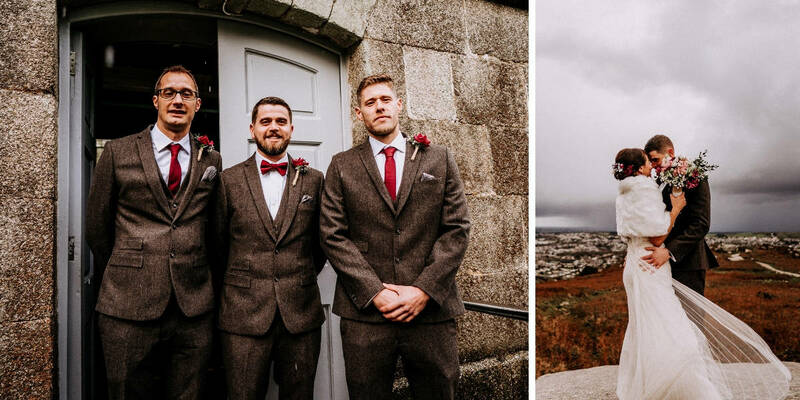 After the ceremony in Carn Brea, the happy couple arrived to The Greenbank, inviting their guests to the Water’s Edge bar for mulled wine cocktails and Tribute as they had their caricature’s drawn. After the welcome drinks, guests were provided a three course meal in The Riverbank Suite and their own private bar. They ended the evening dancing away until midnight to a live band, overlooking Falmouth harbour. 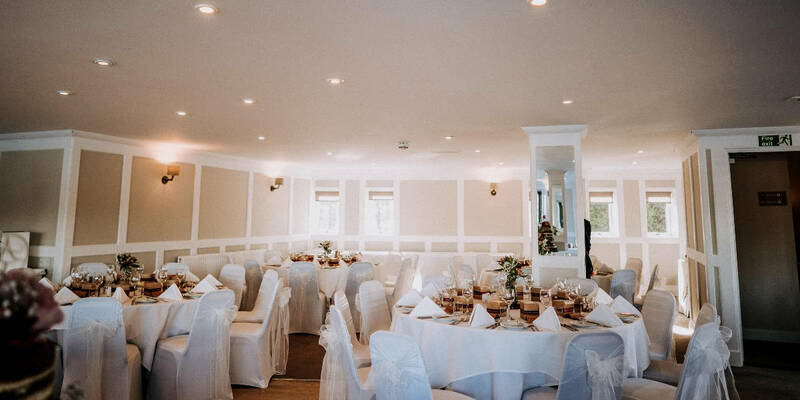 Why did you choose The Greenbank as your venue? 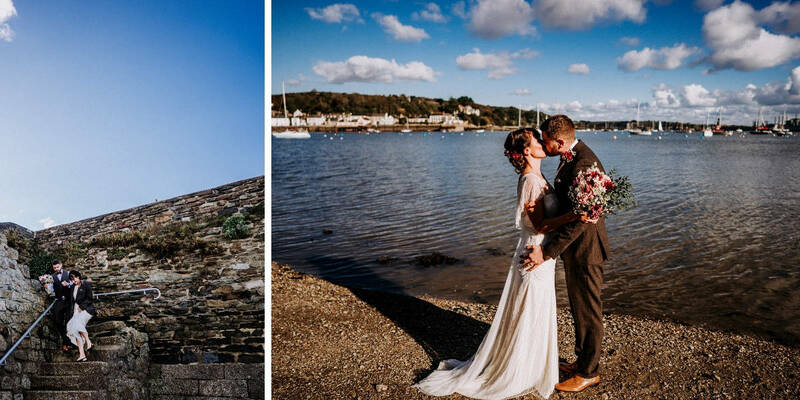 When we first started planning our wedding we were adamant we didn’t want a hotel wedding, but we visited The Greenbank just to see and everything fell into place. We love Falmouth and the views from the bar and the riverbank just made us feel at home so welcome. I am so glad we picked the hotel, it was everything we wanted! Every single part of it! But the moment I walked into the church, I just didn’t feel nervous at all and couldn’t stop smiling. The speeches were also amazing, they were full of emotion but there was also plenty of banter from the guests! Then the evening party was brilliant, our band The Rocket Men got everyone up dancing and they played our first dance ‘Stand by me’ beautifully and we shared it with our daughter Lowenna which was such a special moment. Any advice for future brides planning their big day? Just do a little bit at a time, each month tick a couple things of the list(lots of lists) and remember there is loads you can do yourself rather than spending a fortune! We made our jars for the tables and filled them with flowers and our seating plan. Any advice for the grooms? Stay calm! Aaron was absolutely fine and then had to really hold it together once he was at the church, it’s a massive moment! 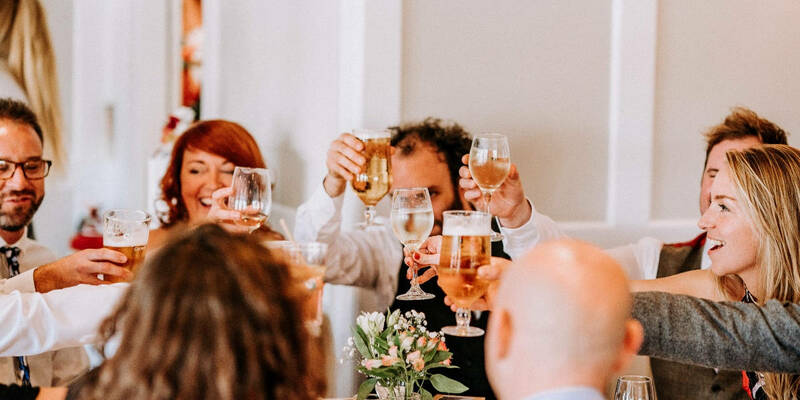 Take your time with your speech,but don’t worry if it goes differently to what you have written, Aaron and his best men went completely off their scripts, but that just made it even better! Nothing! It was the most perfect day, I would love to do it all again, but perhaps without the organising.